Is period pain messing with your brain? 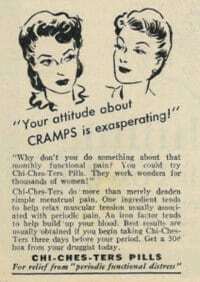 Home > menstrual cramps > Is period pain messing with your brain? 22 Jun Is period pain messing with your brain? Are you the type to simply put up with menstrual cramp pain, keeping a stiff upper lip as you tough it out? Or maybe you stick to one pain remedy even though it only works a little at curbing your discomfort? You might want to consider upping your pain management and trying different techniques to get cramps under control–for your brain’s sake. Turns out, menstrual cramp pain can interfere with your ability to think, slowing you down and making you prone to more mistakes–similar to what you’d experience if you had a headache, according to a 2014 study in the journal Pain (full pdf). The reason why pelvic pain can worsen brain function is unclear, but the researchers speculate it may be that the pain is distracting, mentally draining or it’s preventing you from getting a solid night’s sleep, which helps you think better. I’ve written about dozens of ways to zap menstrual cramp pain–including inhaling lavender, pelvic massage and TENS therapy. So, if you’re looking for a new pain management technique, do a search for “menstrual cramps” to learn about all the cramp-busting options available–then experiment with them to see which ones work best for you.